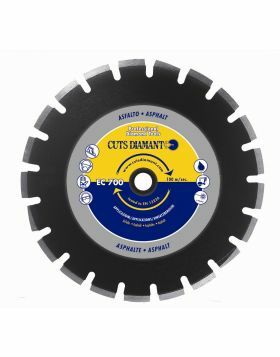 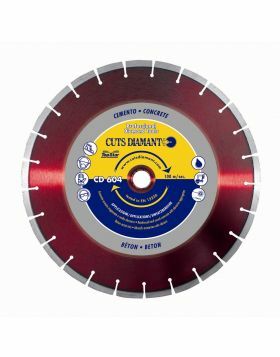 Diamond cutting blade CD 802 for asphalt. 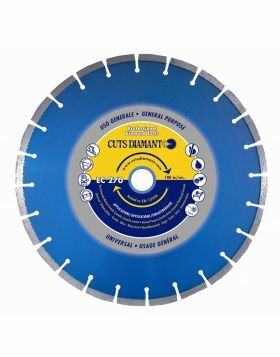 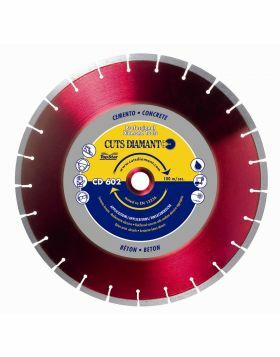 This diamond saw blade features special oblique segments useful to protect the metal core. 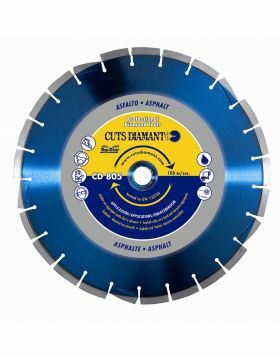 The diamond segments are laser welded and are 10mm high. 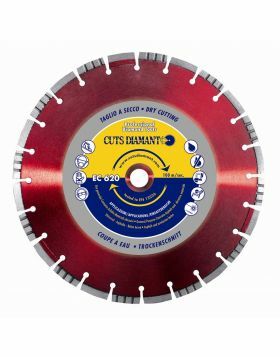 It is available from Ø350mm to Ø 600mm for wet cutting. Recommended for cutting asphalt with medium hard and abrasive aggregates. To be mounted on floor saws with combustion engine.